The tour kicks off in Whangarei in just under nine weeks’ time. SAM WARBURTON, THE likely Lions captain, has been ruled out for the next six weeks with a knee injury. The Cardiff Blues and Wales flanker suffered the injury, revealed today to be a ‘low grade medial ligament strain’ by head coach Danny Wilson, during Friday’s 24 – 24 draw away to Ulster. The period of recovery will see him sidelined for the remainder of the Pro12 season and of course 19 April, the date Warren Gatland plans to name his squad. However, barring any setbacks, the timeline would see the 28-year-old able to return to full training two weeks before the Lions’ opening tour match against the NZ Barbarians in Whangarei on 3 June. Email “Leading Lion Sam Warburton sidelined for six weeks before tour to NZ”. 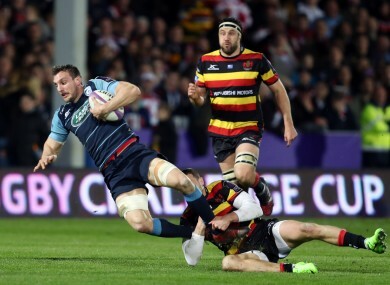 Feedback on “Leading Lion Sam Warburton sidelined for six weeks before tour to NZ”.